← SOLD! Entertainment Center – Real Cheap ($10!) or Free with $50 in Any Other Purchases! 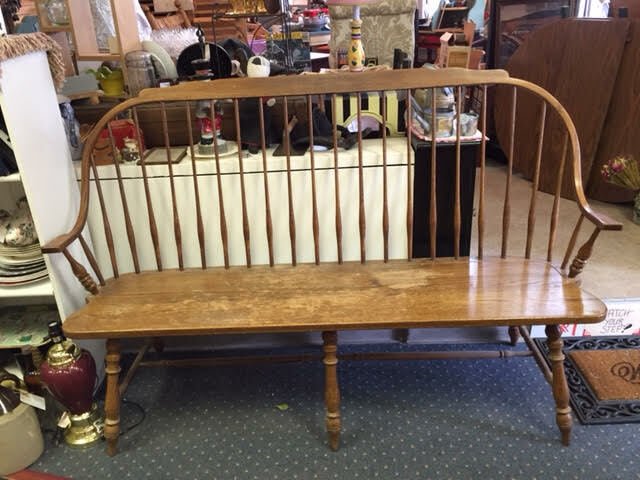 We’ve been looking for an affordable deacon’s bench for a while, and finally, here it is! This bench is just over 5′ long and not quite 18″ deep. It’s clearly seen some use, but is otherwise in great shape. Keep it as is, or refinish it yourself for what would be a stunning piece! Condition: Structurally, it’s in excellent shape. Could be refinished for a better quality look. Dimensions: About 62″L x 42″H x 17″D. Price: $150.00 plus 5.5% State of Maine Sales Tax. 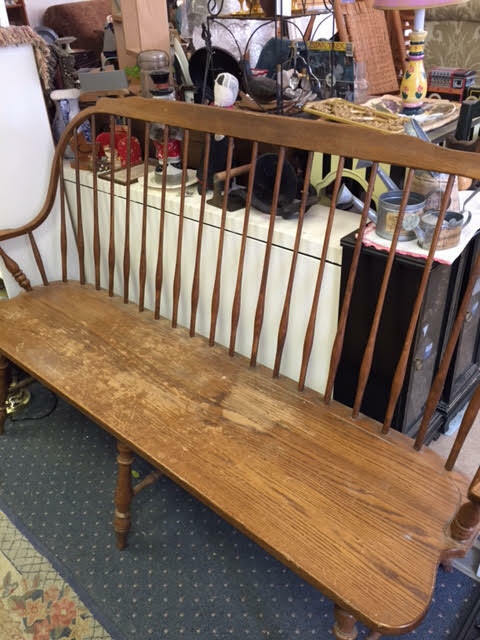 Deacon’s Bench – Just over 5′ long! 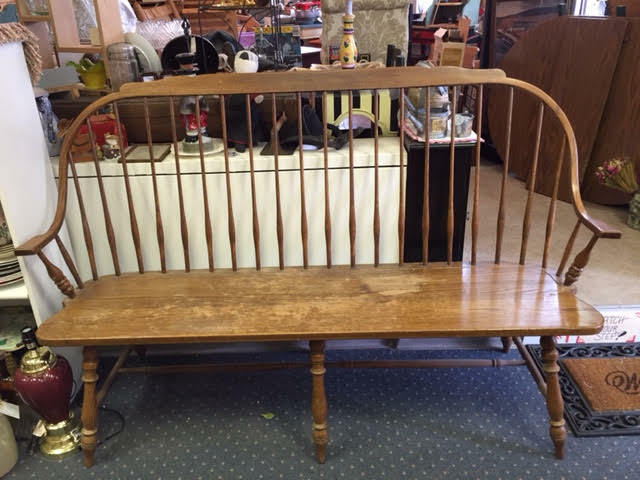 This entry was posted in Furniture - Antique & Vintage, Furniture - Primitive & Farmhouse, Home Decor, Primitive & Farmhouse Decor and tagged bench, deacons bench, Heritage Collectibles, vintage bench, vintage deacons bench. Bookmark the permalink.